Tennis Matters at The Maitland! The Maitland Tennis Club serves the community by offering adults and juniors the opportunity to play both casual and competitive tennis, and participate in friendly social activities. Comprehensive programming will be provided by our Tennis Professionals to all player levels, from adult beginners to competitive league players, while Progressive Tennis curriculum will be delivered to our Junior section, with an optional High-Performance track. 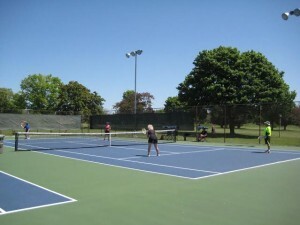 Visit The Maitland Tennis Club Interactive Website to learn more. Looking for membership information? It’s right here!